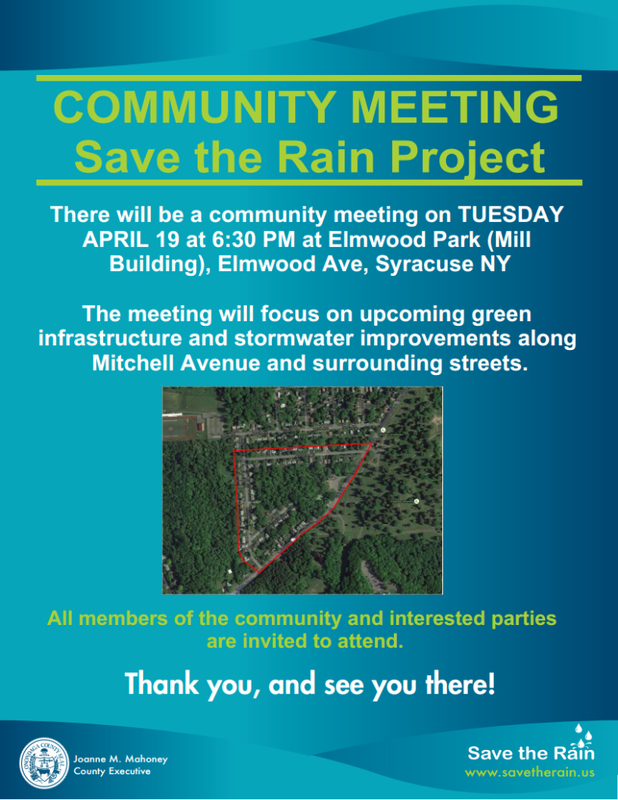 Please join the Save the Rain team for a community meeting at 6:30 PM on April 19, 2016 at the Mill Building at Elmwood Park. The meeting will focus on upcoming green infrastructure and stormwater improvements along Mitchell Ave, and surrounding streets. For more details on this project, please visit the Green Separation CSO 052 at South and Mitchell Avenues project page.